No matter who wins the Super Bowl, if you are hosting a party, you probably hope your guests will all leave happy. It is inevitable that someone will be disappointed with the outcome of the game, but I have a dessert suggestion that will leave a great taste in everyone's mouth! The Seattle Seahawks and the New England Patriots are the football teams playing in the 2015 Super Bowl. I have created a dessert that could represent both teams. One that practically everyone will love - no matter who they are rooting for! A Whoopie Pie is a cookie with a fluffy filling sandwiched between two cake-like cookie halves, and has strong ties to New England. The people of Seattle (home of the Starbucks headquarters) have a huge affinity for coffee. A Whoopie Pie with a twist - coffee filling instead of cream or marshmallow flavor - seems like the perfect dessert for fans of both the New England Patriots and the Seattle Seahawks! My Saturday Spotlight today is shining on a roundup of menu options for the Super Bowl. If you are still planning food for game day tomorrow, perhaps these links will be helpful. Actually, Superbowl party or not - many of the recipes collected in these links look irresistible. International Puzzle Day was yesterday, January 29th, 2015. I had never even heard of a day designated for puzzles, had you? September 20th is International Eat an Apple Day! You may wonder how I know all this. I learned it from a wall calendar, which I received free with a purchase at Joann Fabric and Craft stores. A stack of these calendars were laying on the counter and caught my eye. When I asked the price, the sales clerk told me it was free and gave me one. Technically, I wonder now if they were actually meant just for teachers; but she did not ask my profession, and it does seem a handy thing for a blogger to have! I have always wondered how people find out about these obscure days to celebrate. Now, I have my own inside source of information! Imagine the blog post ideas this calendar might inspire! In addition to identifying days of importance such as those mentioned, it also is filled with monthly themes, craft and project ideas and inspirational quotes. International Puzzle Day was created in 1995 by game companies in the United States. “Puzzle Day” caught my attention as I was looking at my new calendar because I grew up in a family of puzzlers. We always complete at least one puzzle during a family reunion, and a couple of my sisters work on puzzles at Christmas and throughout the year. One of my sisters is so good at putting a puzzle together, that she has been know to turn all the pieces upside down, and put it together without looking at the picture side! My husband and kids do not enjoy puzzles as much as I do. Santa usually leaves a puzzle under our Christmas tree, but it is usually me that puts most of it together. The cat likes to sprawl in the middle of it - and he will knock the pieces off and carry them around. I usually have to cover it with a towel or tablecloth when we are not working on it, just to keep pieces from being lost! I create a new family logo each year for our family reunions, to use on t-shirts, luggage tags, bookmarks, or even aprons for everyone. It usually has something to do with what we have all experienced together. (Flags, bats, spiders, etc. have all been featured!) Last year, I used a puzzle theme. I quite like the slogan I came up with: When we get together, it's a perfect fit. My family is not the only family I know of to do puzzles during a reunion. A Puzzle for Gran is a touching account by Lana at Two Teens and Their Mama of how putting together a puzzle was a family tribute to a beloved family member. If you don't have access to the Projects calendar from Joann Fabrics that I mentioned, don't worry. The website Days of the Year is a good source. In fact, you can even register to be notified of each holiday, so you never miss a special day! Did you know that today (Friday, January 30th) is “International Fun at Work Day - all about enjoying yourself, dressing up silly, partake in office based mischief, or just crank the music up loud while you work.” It's not my advice, so don't blame me if you get in trouble with your boss - but that's what Days of the Year suggests! Apparently, anyone can apply to register a National Day of whatever. Don't you wonder how people came up with some of them? This post may be linked to one of the great link-up parties I follow and list on my blog. Check them out! Note: In the spirit of full disclosure, this post contains an Amazon affiliate link, for which I may receive compensation if any purchases are made. All opinions expressed, however, are entirely my own. Do you have a “perpetual list?” A list of things that gets carried over, each time you rewrite your “To-Do” list? Items that are always on your lists, yet never seem to get done? In addition to these items, I now use my phone and computer to create lists, and I may soon begin using Evernote as well! I am a list maker. I have been one, probably since high school or even before. Lists keep me focused and help me organize my day, this blog, and my life! Lists help me feel productive; I'm one of those people who will even write down something that I have already accomplished - just so I can cross it off my list! ... you get the idea! People to call & emails to send. ... and so on, and so forth. Most of these lists are functional and useful. My memory is not good enough to contain all of this information, and it is helpful to refer to these lists. Why Do Some Things Never Get Crossed Off? Some items have been on my lists for years! The items that get transferred from one rewrite to the next of my master list, however, can cause me to feel angst and guilt. Why is it that I just can't accomplish these things and move on? Should I just give up on some of them, and stop rewriting them? Are they even goals that are still important to me? Maybe it is time I take a good look at that master list. Perhaps I should decide what is really important, and then buckle down and actually accomplish those things. The book cover promises list-making can increase productivity and decrease stress. All of the reviews on Amazon.com are excellent, and the book is available for sale on Amazon in both Kindle and paperback form. I have no doubt this book would be helpful to anyone not already routinely making lists. Since I am already a compulsive list-maker, I wonder if reading it would have much impact on my life? Perhaps it would answer my questions about what to do about the items I never get crossed off! It's worth a try - I think I'll put it on my list! Are you a list maker? Do you have items that never seem to get crossed off? Note: In the spirit of full disclosure, this post contains affiliate links, for which I may receive compensation if a reader makes a purchase after clicking on one. All opinions expressed, however, are entirely my own. Yes - this is my second post today! “Snowmageddon 2015” upended my publishing schedule! I promised to announce these winners today, but I really wanted to warn people about the dangers of snow shoveling. You can read that post here. Now - on to my winners. Last Thursday, I suggested that we make kindness an epidemic. Actually, the idea for doing so was not mine, but Carol Cassara's. She began a “Pay Kindness Forward Initiative for Bloggers,” and Rena McDaniel was one of the winners of her drawing. Rena then held her own contest, and I was one of her winners. Continuing the initiative, I opened the contest to anyone in North America who left a comment about my post Let's make Kindness an Epidemic on any of my social media sites. The winners that agreed to continue the Pay It Forward Initiative will received a surprise in the mail from me, some time in 2015. I hope you will also support them by visiting their websites and “liking” or following some of their work... I follow them all closely, and enjoy their blogs and writing very much! The winners, randomly drawn, were surprisingly all writers that I have followed for a bit. (I drew a fifth name, but she was unable to participate.) These women all expressed willingness to continue to “Pay It Forward,” and I was delighted by how enthusiastic they all are for this project. 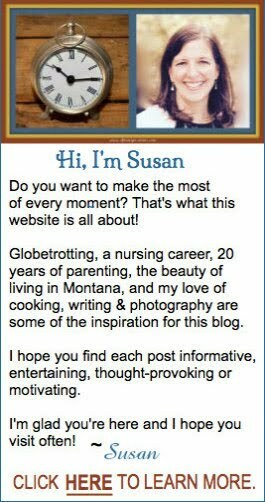 Marisa is actually the author of three blogs - I can't figure out how she manages it! She will be “Paying It Forward” on her blog Squaarekat, “A Four-sided View on Just About Everything.” Yes - it is just as interesting as it sounds! Minstrel's Song is her poetic - creative site, and her blog Mangia, Mangia No Talk! is where I first began to follow her, because of the wonderful stories of her Italian heritage and food. Kelly's way with words, and her witty humor drew me right in, the second I discovered her blog Just Typikel. A talented writer, her work has been published by The Vancouver Sun, she has been a guest on HuffPost Live, and her online work can be found on numerous sites. On her blog, Kelly tells stories of her everyday life - as she describes it, the “comical, quirky and so untypical (yes, Just TypiKel) things that happen to me.” Kelly and I have a lot in common - and I somehow feel like I have known her forever! Once you read one of her stories, I promise you will be eager for more! 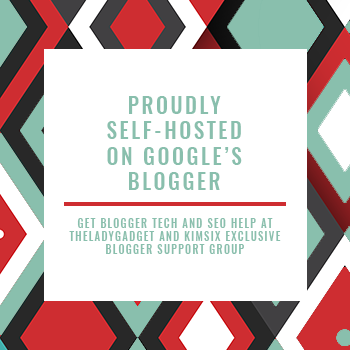 Kim's blog 2JustBYou is a lot like mine, in that it covers a variety of topics - hers include family, recipes, fashion, beauty, inspirational /motivational pieces, linkups and giveaways. She is one of the most generous bloggers I know, often featuring other shops and handmade items. 2JustBYou may seem familiar: I won a giveaway she co-hosted, and part of my prize was free advertising of my blog on hers. As a bonus, she provided me the opportunity to guest post there as well. My winners will received a surprise in the mail from me, some time in 2015. I hope you will also support them by visiting their websites and “liking” or following some of their work... I follow them all closely, and enjoy their blogs and writing very much! Remember my story about the movie Pay It Forward ? My husband and I watched it this weekend. I'm glad I finally got to see it! Note: In the spirit of full disclosure, this post may contain an Amazon affiliate link, for which I may receive compensation if any purchases are made. All opinions expressed, however, are entirely my own. Snowmageddon Storm Warning: Protect Your Heart! Freezing cold temperatures and a blanket of heavy wet snow often make me want to turn into a modern day Paul Revere. He rode a horse, waved a lantern and shouted, "The British are Coming." I'm using my computer to issue my warning in print: "Beware of your snow shovel - your health may be at risk!" People are being cautioned to stock up on supplies,and to “be somewhere you want to be for several days” in case of being snowed in. Businesses are being encouraged to close, so people don't feel they must go out in the storm to get to work. People are advised to plan what they will do if their power (and heat) goes off. One warning I have not heard enough: Be careful when shoveling snow! Snow shoveling can be a risky activity. In addition to straining the muscles of arms and legs, possibly having an asthma attack, and the danger of frostbite, the snow shoveler's heart is potentially in grave danger. I hope you will take a minute to read this article I wrote about a year ago, which explains why snow shoveling is risky, symptoms to be aware of, and what to do if you suspect someone is having a heart attack. Whether you are experiencing the “storm of the century” or any winter storm, the life you could save with this knowledge might even be your own! Snow Shoveling: Can it Cause a Heart Attack! This post was previously published on a website that no longer exists. It seems like advice well worth sharing again. Be safe - and be smart! I was employed as a cardiac-care nurse for quite a few years in Pennsylvania and Ohio. Almost every extremely cold, snowy day would begin with one of my co-workers stating, “Well, business could be booming today.” While meant to lighten our mood, this joking comment was potentially true and based on fact. I remember admitting numerous middle-aged and elderly patients to our unit on such wintry days, after they experienced chest pains or a full-blown heart attack while clearing snow from their sidewalks or driveway. Why Shoveling Snow Can Lead To A Heart Attack: Shoveling snow can trigger a heart attack for several reasons. Obviously, not everyone who shovels snow will have a heart attack. A combination of risk factors can set up some users of snow shovels or heavy snow blowers for a trip to the emergency room. A body's response to cold may increase heart attack risk: According to Mayo Clinic emeritus hypertension specialist Sheldon G. Sheps, M.D., “low temperatures cause your blood vessels to narrow - which increases blood pressure because more pressure is needed to force blood through your narrowed veins and arteries.” In his blog post on February 8, 2013, Patrick J. Skerrett, Executive Editor, Harvard Health, pointed out that cold weather “can boost blood pressure, interrupt blood flow to part of the heart, and make blood more likely to form clots.” These responses of the blood and blood vessels could create “the perfect storm” for the occurrence of a heart attack. A warning to smokers: When you are smoking, your heart rate increases and your blood vessels constrict or become narrower - which causes your heart to have to work harder. The dangers of smoking are well known, but those effects combined with cold weather could quickly become lethal! Strenuous exercise like shoveling snow can be bad for the heart: In addition to the above-mentioned physiological changes due to cold weather, the actual exercise of shoveling can be another huge factor for heart attack risk. Snow shoveling is hard physical labor - especially if the snow is heavy. Many people who engage in the task of shoveling snow are not very physically fit. A sedentary person suddenly forcing his body to perform such a strenuous activity is asking a lot of all of his muscles, including his heart. Stressful situations can be risky for the heart: Sometimes people are in a rush to get the snow cleared, frustrated by the weather's impact on their schedule, or worried about having to drive on hazardous roads. Any such scenario can increase a person's stress level and add to the risk of a cardiac event. In addition to contributing to the risk factor of developing coronary artery (heart) disease over time, the affect of stress on the heart can also be immediate. An article published by Penn State Hershey, Milton S. Hershey Medical Center points out that sudden stress can cause blood pressure to rise and can also possibly cause serious heart rhythm abnormalities in some people. Again, this sets up a potential condition for a heart attack to occur. If you have known heart disease - ask someone else to shovel for you! Other signs may include breaking out in a cold sweat, nausea or becoming lightheaded. Stop shoveling immediately if you experience any of these symptoms! Call 911 or your local emergency center. Do not drive yourself to the hospital, as you could loose consciousness. A false alarm is far better than suffering the devastating effects of a heart attack left untreated. Don't let doubts interfere with getting the immediate medical attention a heart attack victim requires. http://www.mayoclinic.com/health/blood-pressure/AN01786 - Mayo Clinic website: "Expert Answer. Blood pressure: Is it affected by cold weather?" by emeritus hypertension specialist Sheldon G. Sheps, M.D. http://pennstatehershey.adam.com/content.aspx?productId=10&pid=10&gid=000031 - Penn State Hershey, Milton S Hershey Medical Center, Health Information Library: "Stress"
http://www.heart.org/HEARTORG/Conditions/HeartAttack/WarningSignsofaHeartAttack/Warning-Signs-of-a-Heart-Attack_UCM_002039_Article.jsp - American Heart Association website: "Warning Signs of a Heart Attack"
So, just like Paul Revere - please help me spread this warning! Sharing this information with your friends and family could potentially be lifesaving. Strangely enough, in Montana right now, it is 56 degrees F. and sunny; no snow is even in our forecast until Saturday. It's pretty certain that snowy weather and cold temperatures will return here before long. In the meantime - I hope all our our Eastern neighbors are safe and warm! “Snowmageddon” necessitated a change in my usual posting schedule! Today is the day I promised I would announce the winners of my “Pay It Forward” drawing. Since this post is so long, I will publish their names and information about their blogs in an extra post today. You can visit it after 12 noon EST today (1-27-15) by clicking here. A very special bell hangs on a wall of St Peter's Hospital in Helena, Montana. Until recently, I didn't know it was there. Most people don't. Anyone who has rung it, however, would probably agree with me that three tolls from this bell are better than a symphony performed by any orchestra. Last summer, I had the kind of phone conversation with a very good friend that should have begun with the phrase, “Are you sitting down?” When she said the words, “I have breast cancer” I scrambled for a chair and sunk into it, but I couldn't think of any words to say. She has since had surgery and a full course of chemotherapy. I have tried to be supportive and helpful. However, to be truthful, I have probably gained more from her than she has from me. I have been in awe, as I've watched her confront this diagnosis with grace, courage, confidence, and humor. During one long chemotherapy treatment, I helped her pick out a hat from a selection of free ones available for patients. We dissolved in a fit of giggles, and we agreed that her features are much better suited to “chemo-style” than mine! I'm unsure as to whether I could live up to the example my friend has set, but I hope that some of her strength and positive attitude has rubbed off on me. We went out to breakfast this month to celebrate the end of her chemotherapy treatments. “This course is run, and she is on her way.” Absolutely! My "Saturday Spotlight" this week not only shines upon that bell, but upon an amazing man and his pink tutu. I noticed a video on Facebook this week of a stocky man (Bob Carey) wearing nothing but pink tutu. Curiosity got the best of me and I clicked on it. I'm glad I did. 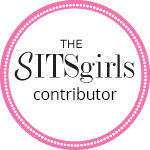 If you want to learn more about The Pink Tutu project, just click here. The Pink Tutu project is described perfectly at the end of the video by Linda, the man's wife, "It's just a good story - about love, about inspiration." The idea for the pink tutu photos was born when Linda was diagnosed with cancer, and Bob wanted to make his wife laugh. The Pink Tutu project raises awareness for breast cancer, and promote lightheartedness laughter amongst women suffering from cancer. My friend has some experience with tutus. I'm pretty sure she would approve of this one. The Pink Tutu shop website has a gallery of pink tutu photos that have been taken. I think I like the Bloomingdales one best. Which pink tutu photo is your favorite? I feel lucky to have survived the winter dangers of my childhood unscathed, despite not always heeding the warnings of my parents! I remember brutally cold Canadian winters that were a lot of fun. Some of my best winter memories are of time spent outside after school and on weekends. Despite being cautioned by my parents, my sisters and I didn't give a thought to some potentially devastating consequences. We spent hours playing in snow forts, not believing warnings that they could collapse and we could suffocate. I would practice "figure eights" and spins on the skating rink my Dad made for us, until well after dark and all feeling had left in my toes, encased in the thin leather of my skates. Annually, my sisters and I shoveled a track down our snowy hillside and poured water on it, creating a course worthy of a bobsled. Practically airborne and helmet-less, we would sail down it on our toboggan, careening into the poplar trees if we veered off-course. We didn't worry about anything - we just had fun. Years later, while taking first aid classes to become an American Red Cross instructor, I realized how foolhardy I had been. Frostbite is a serious condition that can lead to gangrene, nerve damage and other complications if not properly treated. I dodged the proverbial bullet on this one. "Frost Nipping at Our Nose … and Fingers and Toes"
During winter playtime, my hands were typically encased in hand-knit woolen mittens. These could keep fingers pretty warm, unless they got wet. Lugging overflowing pails of water from the house to our back hill to pour down our sledding run, I would also splash my mittens. Perhaps, had I not been so intent upon my task, I might have gone inside for another pair. Instead I would ignore the pain as the cold bit into my fingers. Finally, it would get too dark or dinner would be ready, and we would head indoors. My fingers would begin to sting soon after as I entered the house. It would take a few minutes to unwind the thick wool scarf wrapped several times around my neck and remove the layers of my hooded parka, snow-pants, and boots. I knew it was best to just tuck my hands inside my armpits to warm them. Too impatient for that, I would fill a sink with hot water and submerge them. An incredible burning sensation would result, sometimes accompanied by a feeling of pins and needles. Eventually the pain would stop. I had most likely experienced "frostnip" - a mild first stage of frostbite, that doesn't usually cause permanent damage to the skin unless allowed to progress to true frostbite. progress to feelings of numbness and prickling. Fortunately, our hot water heater was never set high enough to inflict a burn. In my first aid class I learned lukewarm water can be used to rewarm a possibly frostnipped body part, but never hot. Decreased sensation of the area could cause an inability to know when hot water, a heating pad or other heat source is too hot, and a burn could result. It is important recognize symptoms of frostnip or frostbite, and know what to do if they occur. Immediate emergency medical treatment is important in cases of true frostbite. Experiencing winter can be a joyful time for kids, but hopefully they heed the warnings and advice of their parents better than I did! I'm not sure my mom ever really knew how cold my hands would get - or the technique I used to warm them up. I remember however, that when we came indoors she would frequently be at the stove, stirring a pot of hot chocolate - with marshmallows at the ready! Do you remember hot chocolate before microwave ovens? Let's Make Kindness An Epidemic! One day, while visiting the library when my kids were still quite small, I came across the video “Pay It Forward .” Not knowing anything about it, I read the back cover. The actress Helen Hunt was in it, and it was a story about being kind to others ... it sounded good to me. I borrowed it, unaware that I was about to commit one of my biggest parenting fails! That weekend, we made popcorn and gathered as a family to watch the movie. Unfortunately, I had not noticed the movie was rated PG-13, even though I was usually very careful. It began a little rocky, but I was so convinced that it contained a valuable life-lesson for my children, I thought it would be okay. Scenes of homelessness, drug addicts, and mature content were more than my little boy was ready for! He covered his face and said he was going upstairs. Of course, we immediately turned it off, and found something more age-appropriate to watch instead. I felt terrible for my lack of judgement! My son had not blown out enough birthday candles to watch that movie yet! I was reminded, however, of the good deeds featured in that movie recently, when Carol Cassara published her article Pay Kindness Forward. 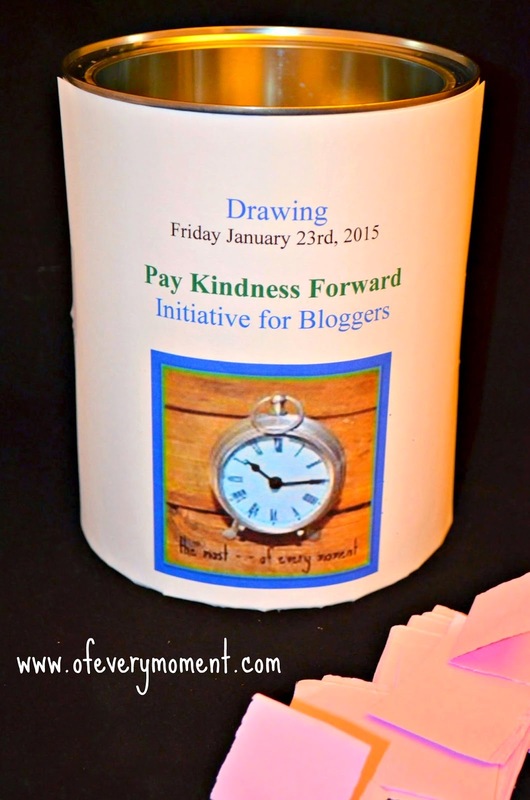 Deciding that the world needs more kindness, Carol has begun a "pay kindness forward initiative for bloggers." From all the people who commented on her article, she randomly chose five - each of whom will receive a surprise of some sort from her sometime during 2015! The only requirement: once chosen, the recipient must make the same offer on their blog, and share on social media. To my surprise, I became one of Rena's randomly chosen five recipients. I'm thrilled that I now get to spread this ripple further! I'm a firm believer that kindness is contagious. Back in October I posted a video showing how kindness can be spread, just like a yawn. Let's make it an epidemic! I will randomly select my five winners from all the people who leave a comment on this post anywhere I publish it (i.e. this blog, Google+, Twitter, Instagram or my Facebook account). I will write down the names of all the commenters on slips of paper, place them in a can, and have my son draw out five winners on January 23rd. Enter to win a a surprise in the mail - and a chance to pay kindness forward! Leave a comment, and be sure I have your email address. I will need a way to contact you if you win! Please wait until Tuesday,Jan 27th, 2015 to announce on your own blog if you win. This will give me an opportunity to contact all the winners and be sure they all want to participate. If you are a winner, and do not wish to participate, please let me know immediately! REMEMBER: If you are chosen, the only catch is that you must make this same offer on your own blog, and share the post on social media. Each winner will need to email me (privately) and supply their mailing address, so I can send them their gift. Winners are not required to have a blog, but if not, they must have a Google+, Twitter or Facebook account. I never tried to finish watching the movie “Pay It Forward .” I think I might this weekend though, and I'm even going to see if my son is interested in watching it with me. He's certainly old enough now! Did you know that there is actually an annual “Pay It Forward Day”, and the next one will be on Thursday, April 30th, 2015? Visit the website Pay It Forward Day for more information, inspiration and ways to become involved. This movement, and the movie were both inspired by the concept introduced in the book “Pay It Forward ” by Catherine Ryan Hyde. Note: In the spirit of full disclosure, this post contains affiliate links, for which I may receive compensation if any purchases are made. All opinions expressed, however, are entirely my own. A bumper sticker has been sitting in my dresser for well over a year. I can't seem to bring myself to throw it out, but I don't think I want it on my car. My husband has one on his car, and so do a lot of my friends. This logo and these stickers are a common sight in Montana. Please don't judge. It's hard to keep a car clean in Montana! The “Get Lost” slogan is a part of a campaign for marketing Montana tourism. So, why don't I put one on my car? 1. I really hate to be lost! I have absolutely no sense of direction. Admittedly, I'm usually never lost for very long, but I frequently experience the frustrations of not knowing how to get to where I want to be. I actually found out there is a name for my inability to navigate: Directional Dyslexia. I wrote about it in one of my very first posts on this blog, and you can read about it here. While the GET LOST logo really just refers to exploring the vast wilderness of Montana, the thought of being lost reminds me of my limitations! I don't need that sort of reminder on my car every day! 2. I fear road rage, and I don't want to be perceived as rude. The bumper sticker is meant to capture people's attention. Most will immediately understand the context of the slogan and read the whole thing. I picture a driver riding my bumper, however, who happens to be a very concrete thinker and takes the first part (GET LOST) of the bumper sticker literally, then fails to read the “IN MONTANA” part. I prefer not to be in that situation! 3. One of the things I love about Montana is how there just aren't very many people here. While I understand that tourism is a part of the economy of Montana, I don't love how our traffic increases during tourist season. Selfish? You bet! Even though I've been familiar with the Get Lost (In Montana) campaign for a while, I didn't know much about it. I visited the website today to see what I could learn. The campaign has been successful, and there has been (myself thus far excluded) quite a bit of local participation. I think the campaign has been good for Montana tourism and Montana, as it is meant to attract the type of person who would appreciate and take care of the resources Montana has to offer. I've been feeling a little silly for overthinking this bumper sticker. It appears, however, that it has already been given a lot of thought. This kind of getting lost with our dog is actually really nice - especially when we know we'll find our way! What is your reaction to this bumper sticker? Today I am featuring a group whose performance can, according to their Facebook page, “cross all cultural boundaries and have No language barriers!” I agree with this comment, and could add that one of the boundaries crossed was my heart! Although I chose this group because of how much they impressed me, it seems fitting for Martin Luther King weekend that one of their goal is to break through barriers. ... Attraction, a “black light shadow company” from Hungary. Many of you may have seen them on television when they won Britain’s got Talent 2013. I hadn't heard of them until this week, however, when I saw a video clip from that competition on Facebook. Curious, I tried to learn a little more about them. Attraction Black Light Theater was founded in Hungary in 2004, and has both a Facebook page and a website (with English or Hungarian options). They are a company of twelve dancers, founded and choreographed by Zoltan Szucs. To say that they create shadows as they dance is not really accurate. They use their bodies to create silhouettes of both living and inanimate objects, telling a story with their bodies as they dance. Their dances are so emotional and the shape transformations so beautiful, they have moved many people (including Simon Cowell and me) to tears. You don't just have to take my word for how special this group is. Simon Cowell (the notoriously stoic judge on Britain's got talent) said of their performance, “It really moved me.” Also, their Facebook page has over 42,000 likes. I would sure love to see that sort of number of “likes” on the Facebook page of this blog! ... A blog well-worthy of a mention celebrated a milestone this week. The Diary of an Alzheimer’s Caregiver just celebrated its one-year blogging anniversary. Rena McDaniel needed help and answers after her mother developed the symptoms of Alzheimer’s disease and came to live with her. It was from this turning point in her life that her blog was born. Rena’s writing is honest and well researched; hysterically funny and heart wrenching. She is vulnerable and tough as nails all in the same sentence. Her posts cover a variety of life experiences, and are witty, entertaining, heartwarming, and thought-provoking. Her blog is an incredible resource and support group for anyone caring for a loved one with Alzheimer’s, and for everyone just living the challenges we all face every day. Both Attraction and Rena's blog will tug on your heartstrings. It wasn't until after I wrote the above paragraph though, that I realized another similarity between the two. 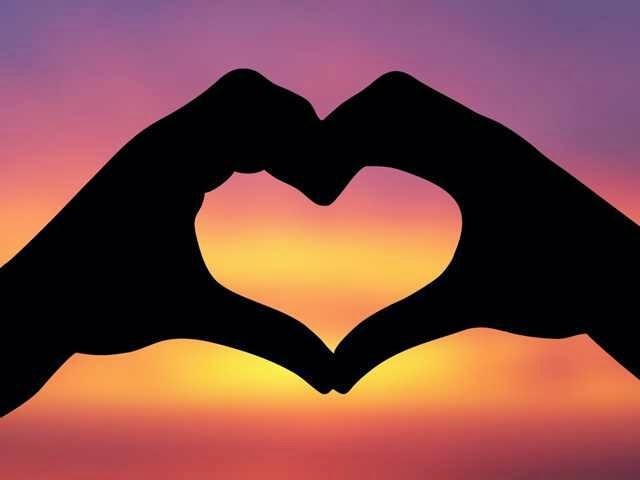 The photo logo on Rena's blog is a silhouette of hands forming a heart. Are you good at making shadow pictures with your hands? Do you have plans for the long weekend coming up? A three-day weekend is always a treat. I have some good memories of family ski weekends, relaxing getaways, and travels to swim meets during these short breaks from school. Family skiing, Martin Luther King weekend 2008. Shortly after the weekend this photo was taken, I purchased my first ski helmet, and have worn one every time I have skied since. That's not a fur scarf I'm wearing - it's a turtleneck and my frosty hair! The purpose of Martin Luther King Day, however, is not just an opportunity for a three day weekend. I always have tried to remember (and remind my kids) that it is a time to reflect on the struggles of the civil rights movement, and the promotion of equal rights for everyone. Martin Luther King, Jr. was born on January 15th, 1929, but the American Federal holiday that honors him is always the third Monday of January. There is unfortunately still a lot of progress needed to ensure equality for all humans, but his efforts moved us a long way in the right direction. I enjoy the challenge of writing from a word prompt once in a while. I decided to see if I could incorporate this week's Words for Wednesday, (supplied on the blog Under the Porch Light) in an informational piece about Martin Luther King. To accomplish this, I had to do a little research, and I learned some things I hadn't known before. This is not a history report, but an attempt at providing a little historical insight within a creative writing piece. It may contain some information you did not know. Martin Luther King Jr. was one of the great leaders of the civil rights movement, and is perhaps the most famous. A gifted motivational speaker, he used his speeches to inform and get people involved in the civil rights movement. Martin Luther King could have had a spectacular career as a doctor or a lawyer, with his educational background. Instead, he became a Baptist minister and a social activist. He was president of the SCLC Southern Christian Leadership Conference, an organization which firmly believed in non-violence, with the motto "Not one hair of one head of one person should be harmed." Unfortunately the efforts towards ensuring racial equality were not always smooth. Peaceful protesters were on occasion responded to with violence and participants were hurt, despite the plan that no one be injured. On April 4th, 1968 King was fatally wounded by a bullet, while standing on the balcony of a motel. As far as I know, there were no photos taken at the moment he was shot, as was the case with the assassination of President John F. Kennedy, which happened during a scheduled public event. In present day, a political figure of such import can rarely have a private moment unobserved by the press. King's assassination in today’s world would most likely be caught in the frame of the zoom lens with telescopic power of an ever-present photographer. Reporters did arrive (to read a news report, click here) and photographs were taken shortly after the shot was fired. James Earl Ray was convicted as the murderer and given a life sentence in prison. I found the following short video to be very informative. It is well worth taking a minute this weekend to watch it! Did you know the “I Have a Dream” speech was an impromptu deviation from King’s prepared remarks? If you can, make this Monday “a day on, not a day off” and honor King with an act of community service. 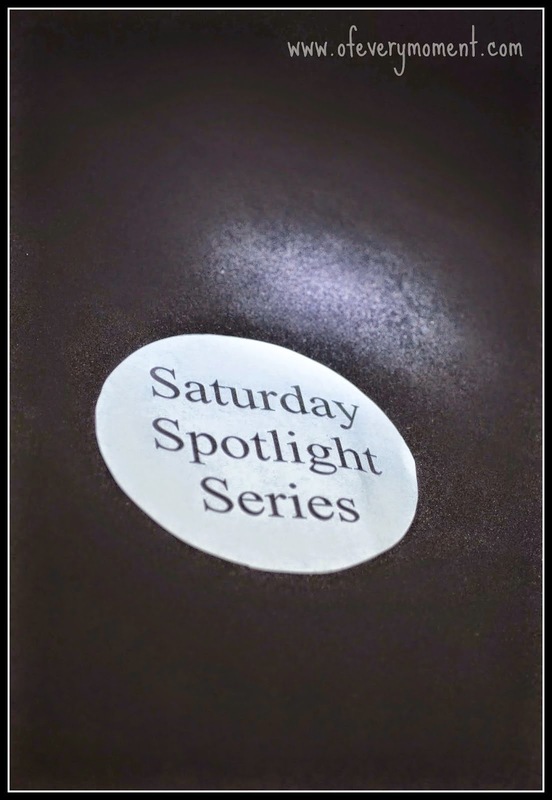 Don't forget to stop back here tomorrow, to see where my “Saturday Spotlight” will shine. Have a wonderful and safe weekend. Note: In the spirit of full disclosure, this post may contain an affiliate link, for which I may receive compensation if any purchases are made. All opinions expressed, however, are entirely my own. Food, Family and Football. Way to Go, Buckeyes! Happy New Year! Do We Wish Happiness - or Health?